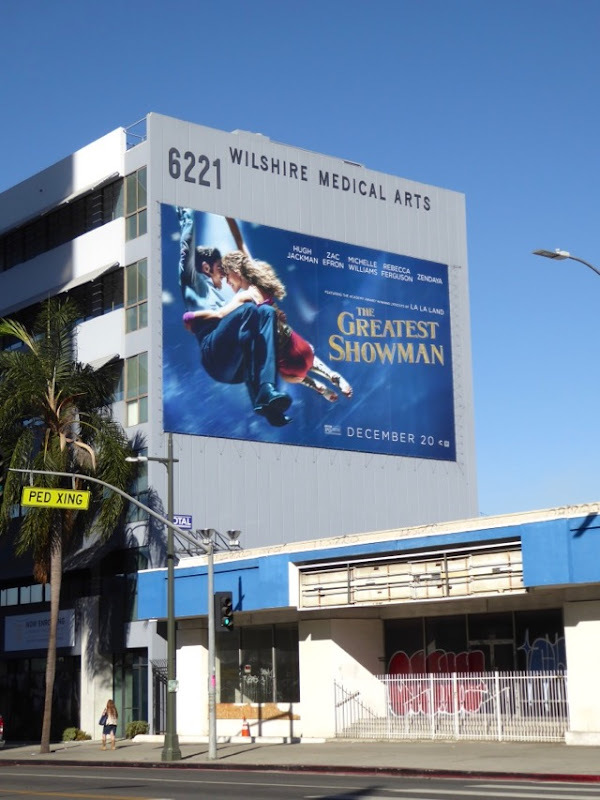 'Tis the Christmas blockbuster season and the time of year for Hollywoodland to entertain audiences with dramas, biopics, comedies and dazzling musicals, like The Greatest Showman. 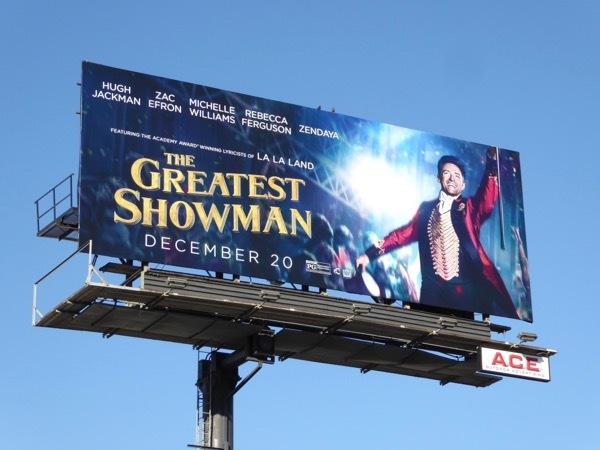 Before it has even been released in cinemas the new film starring Hugh Jackman as the legendary circus operator and showman, P.T. 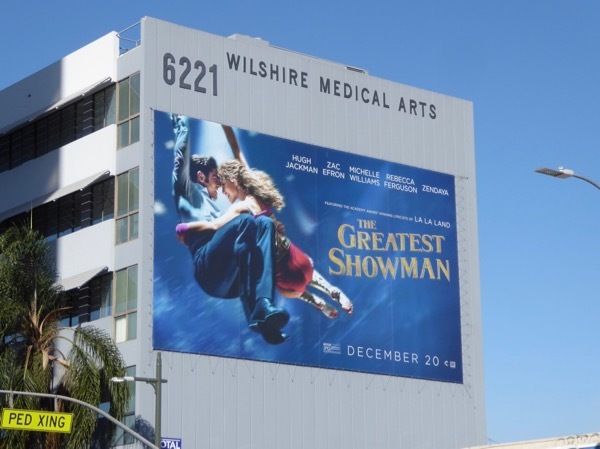 Barnum, has garnered three Golden Globe nominations, including a nod for the actor, one for Best Musical or Comedy Motion Picture and the other for Best Original Song for 'This Is Me' by Benj Pasek and Justin Paul. 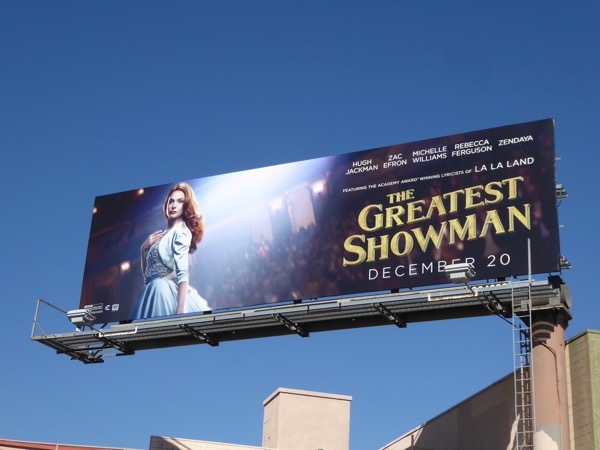 The period musical also stars the likes of high-flying circus performers and singers played by Zendaya, Zac Efron and Rebecca Ferguson, and Michelle Williams as Barnum's wife. 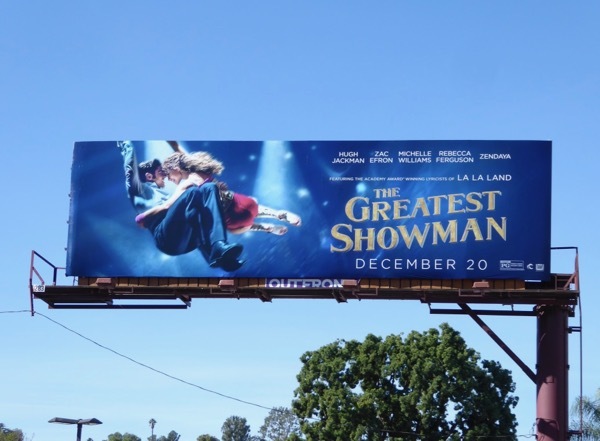 Inspired by how the showman started the Barnum & Bailey Circus and the lives of its varied attractions, the musical has a modern twist with original contemporary songs by the Oscar-winning lyricists of last year's awards darling, La La Land. 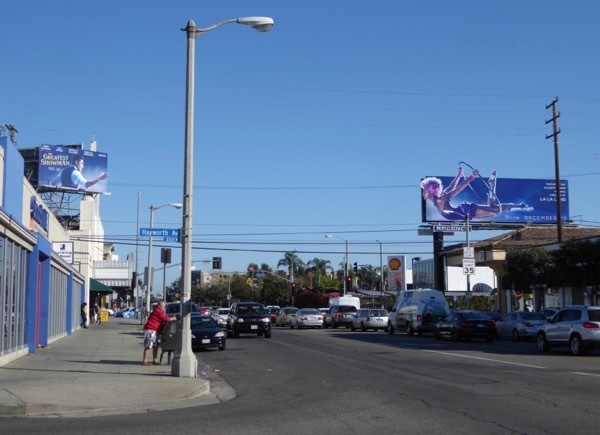 These striking billboards putting on a show in L.A.'s skyline were photographed along Ventura Boulevard, the Sunset Strip, Beverly Boulevard and Santa Monica Boulevard from November 28 to December 5, 2017. 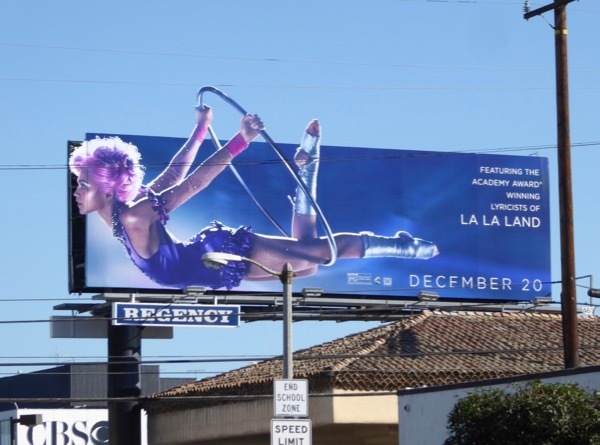 Daily Billboard especially likes the interconnecting duo of billboards along Beverly Boulevard which sees lovebirds Zac Efron and Zendaya's pink-haired trapeze artist looking longingly at each other. 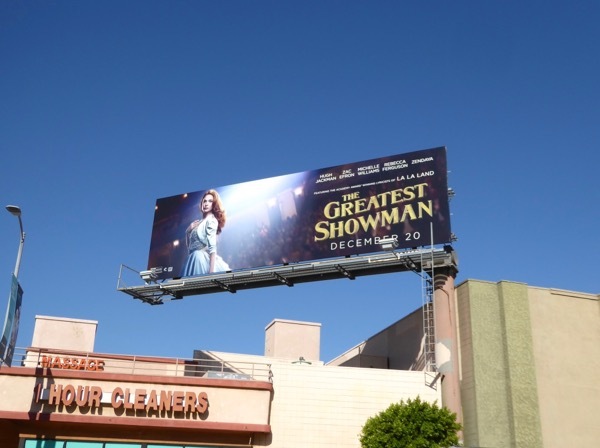 It's a real showstopper. 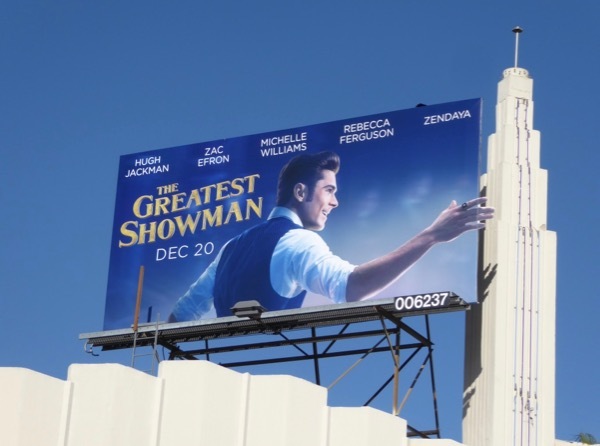 Hugh Jackman admirers can also enjoy all these Wolverine and other movie billboards, fans of the High School Musical alumnus can check out all these Zac Efron movie billboards and you can see more of Rebecca Ferguson in these Mission: Impossible - Rogue Nation and The White Queen billboards. 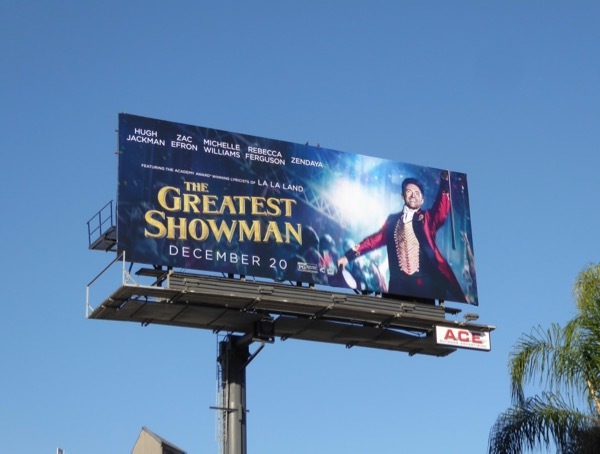 Let's see what cinematic excitement, tricks, illusions and delights The Greatest Showman can deliver this festive time of year. 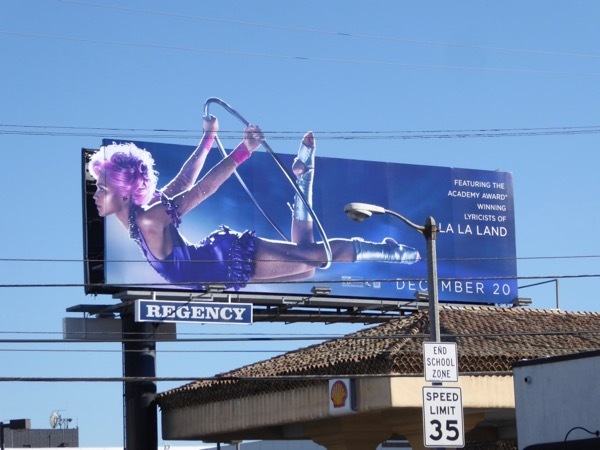 Plus only time will tell whether it will it be able to swoop in and steal a few industry accolades this awards season.